Now here’s a movie we loved, but the “Abridged Script” is still as funny as ever. 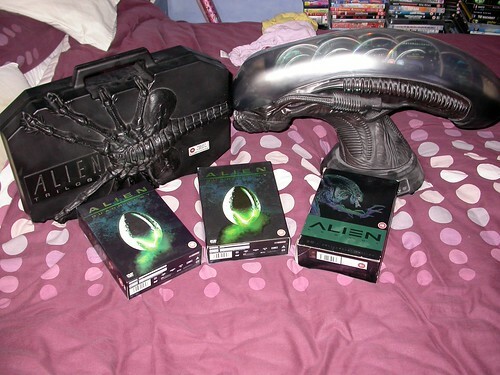 Where’s that fancy Alien Box Set we have sitting around somewhere? Not to mention, Near Dark on Blu-ray? Three of our favorite actors from Aliens star in it (among many other reasons Near Dark is one of our favorite vampire flicks that we’ve watched over two dozen times, but that’s a separate piece) . Click the image or the below link to read. Enjoy! Aliens: The Abridged Script | The Editing Room. « Older Post Sneak Peek of Mid-Season Premiere of The Walking Dead Unveiled – Darryl VS. Merle VS. The Governer VS. Andrea! » Newer Post Scariest Short Horror Movie Of The Month: “3:00 AM” From Lee Matthews (2012) – Not Recommended Viewing If You Have Insomnia Christmas Eve!